Keeping the American folk-art of scrimshaw alive, the Kiracofe brothers have been “scratching out a living” for nearly 40 years. Setting up shop first in Boston in 1978 the brothers later established stores on Mackinac Island in 1979, the Door Peninsula 1993, Newport 1986 and in Wickford 2000. Each location offers wares of jewelry, Nantucket baskets, fine knives and hand crafted treasures. Although each Scrimshanders gallery is different, all have an alluring atmosphere into the past. 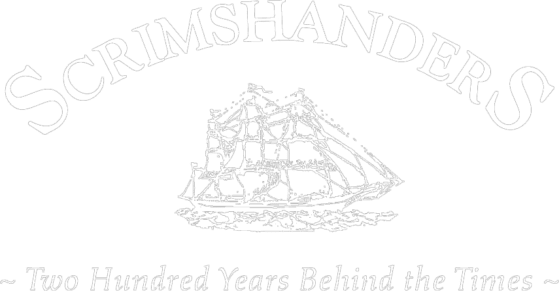 Join us at the Scrimshanders, where we are truly “two hundred years behind the times”. © Powered by Englund Studio - Copyright 2018 © Scrimshanders.